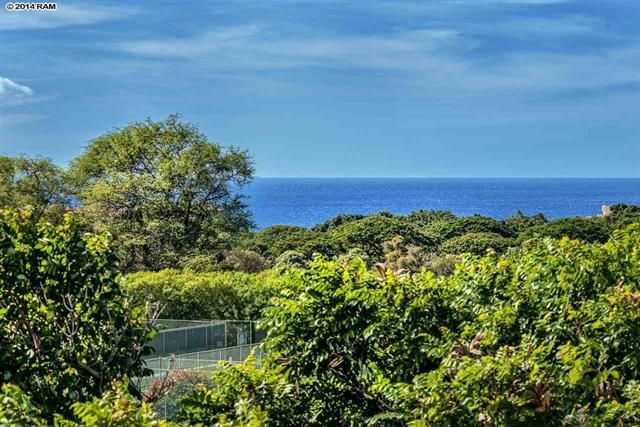 This gorgeous, bright and spacious 1bd/2bth top floor unit offers unmatched views of the ocean and the scenic Wailea greenbelt area. 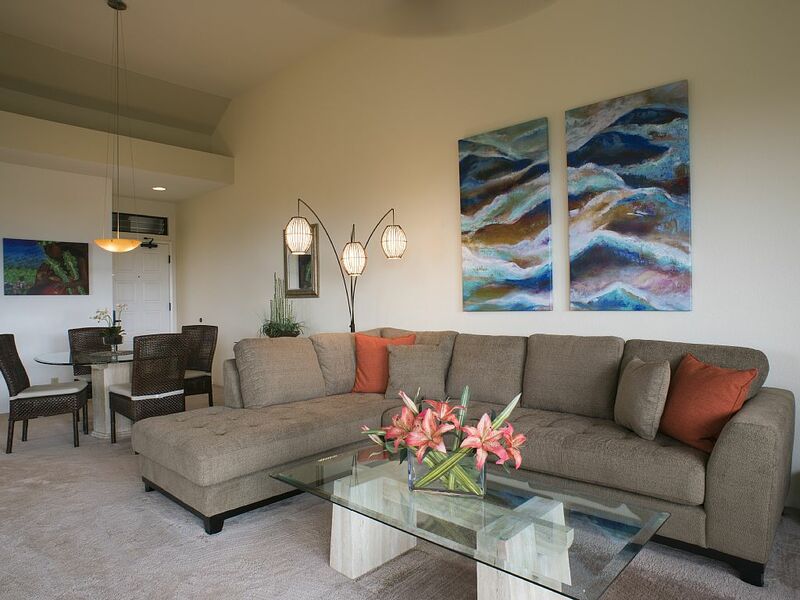 This amazing suite has beautiful modern furnishings and decor that include artwork done by highly regarded local artists. 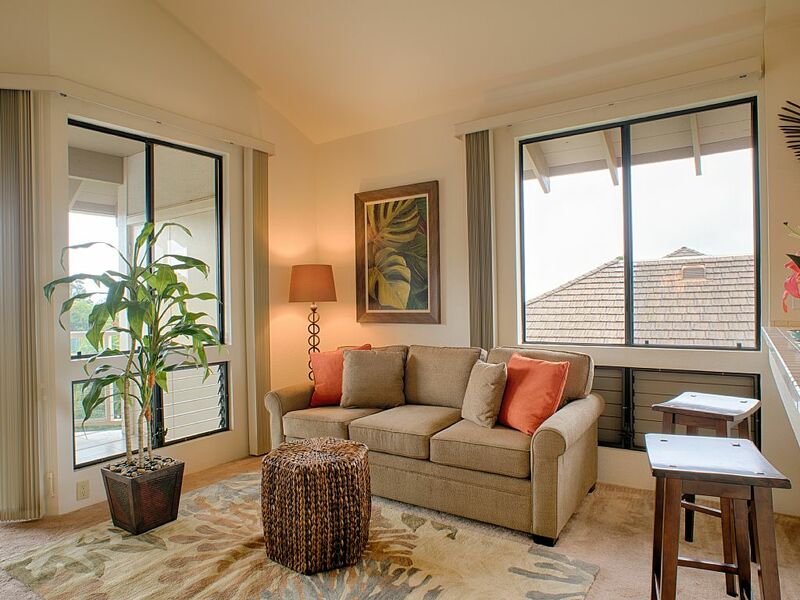 High ceilings and a panoramic ocean view add to the open and spacious feeling of this top floor corner unit. 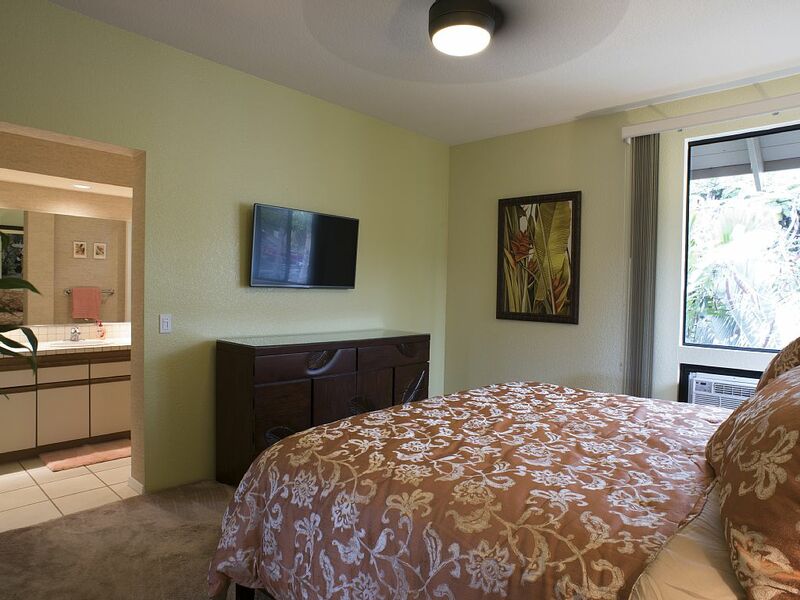 A pillow-top mattress, high thread count linens, new furniture, ceiling fans, and quiet AC ensure comfort and enjoyment. 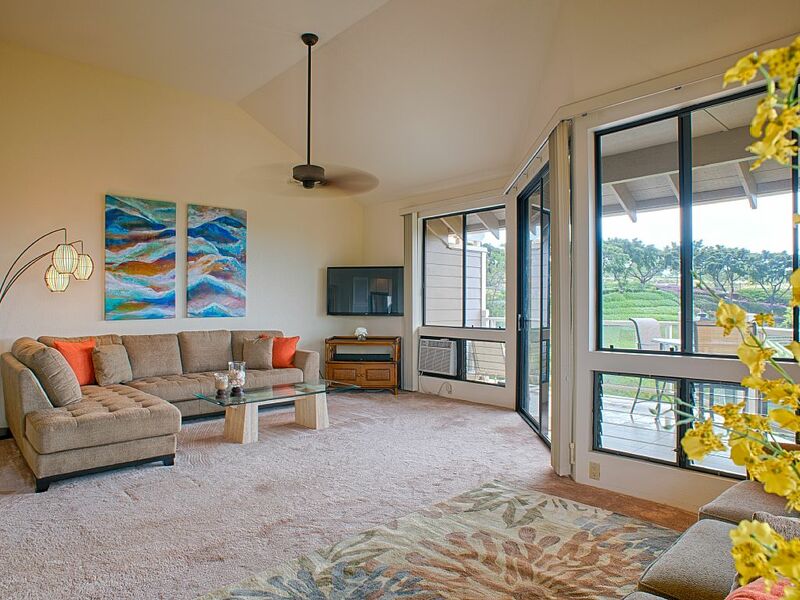 Our condo's location provides convenient, easy access to the amenities of the Grand Champions Resort. Enjoy the beautiful pools, relax in the hot tubs, grill your favorite meal in the barbecue area... all just steps from your front door! 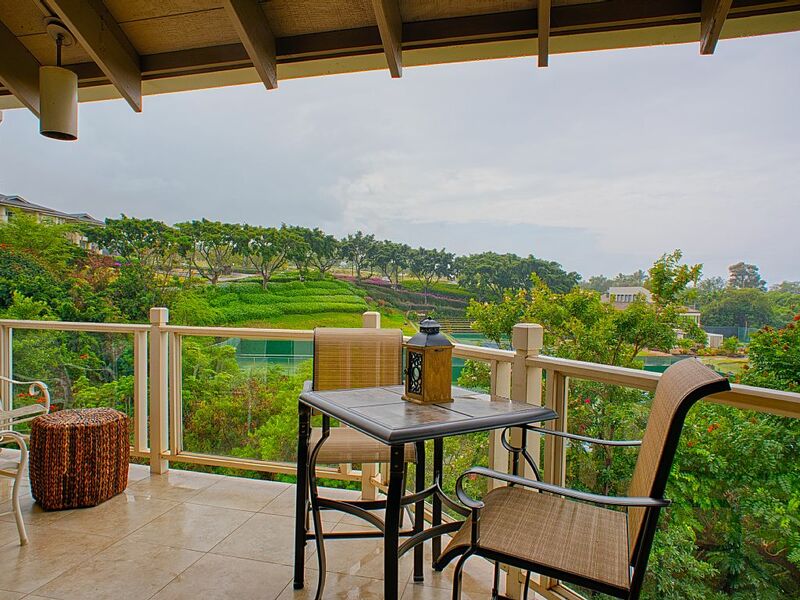 The condo is located within the beautifully landscaped Grand Champions Villas resort in Wailea. Wailea is a master-planned resort community in South Maui. 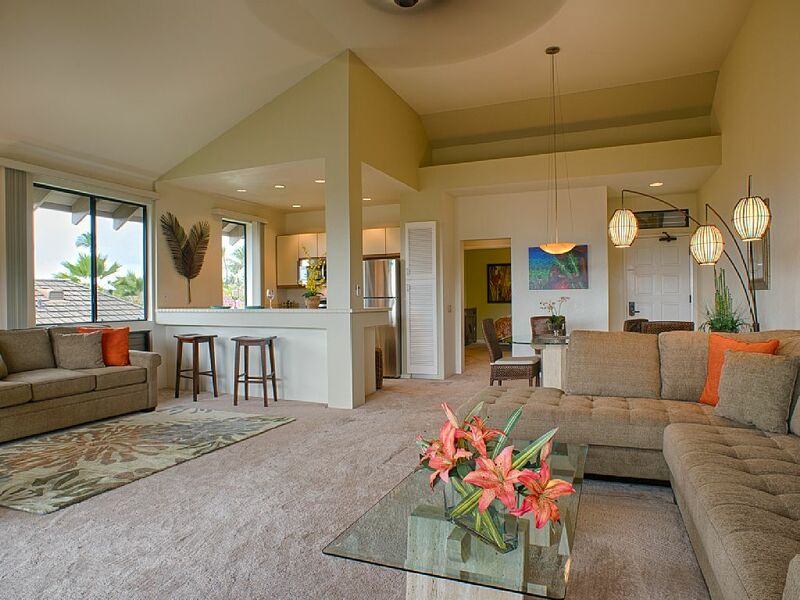 Grand Champions offers access to the elegant and luxurious lifestyle of Wailea while providing a touch of quiet seclusion. 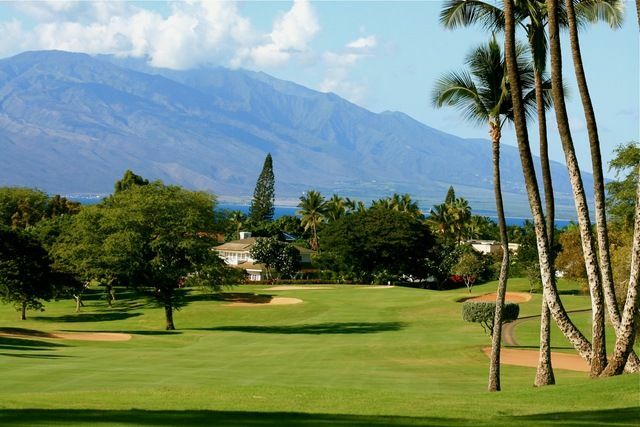 On one side, the resort is bordered by the Blue Golf Course, one of Wailea Golf Club's 3 award winning courses. 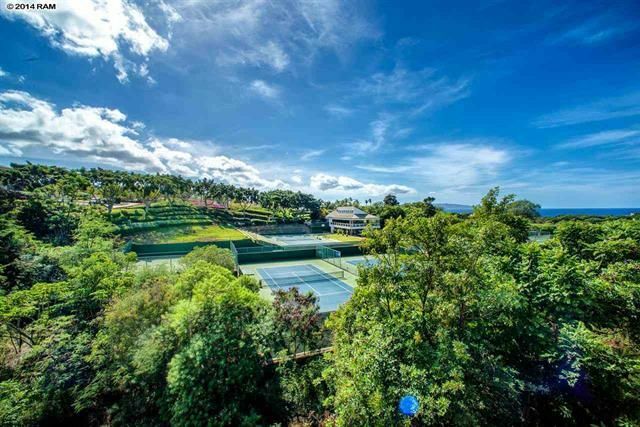 The world-class Wailea Tennis Club is on the other side. 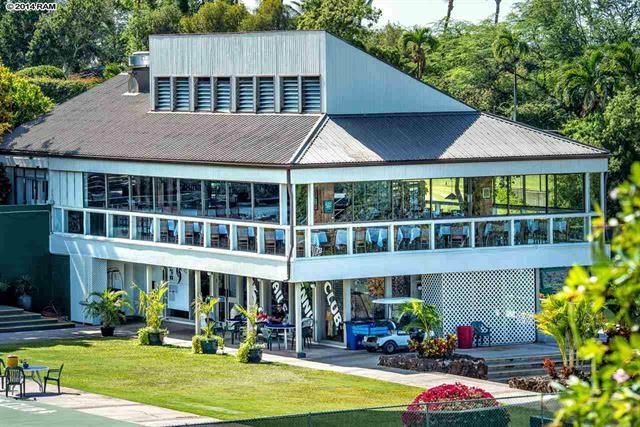 You can watch tournament play from our lanai. Grand Champions has 2 pools, 2 Jacuzzi's, and 6 gas grills for guests to enjoy. 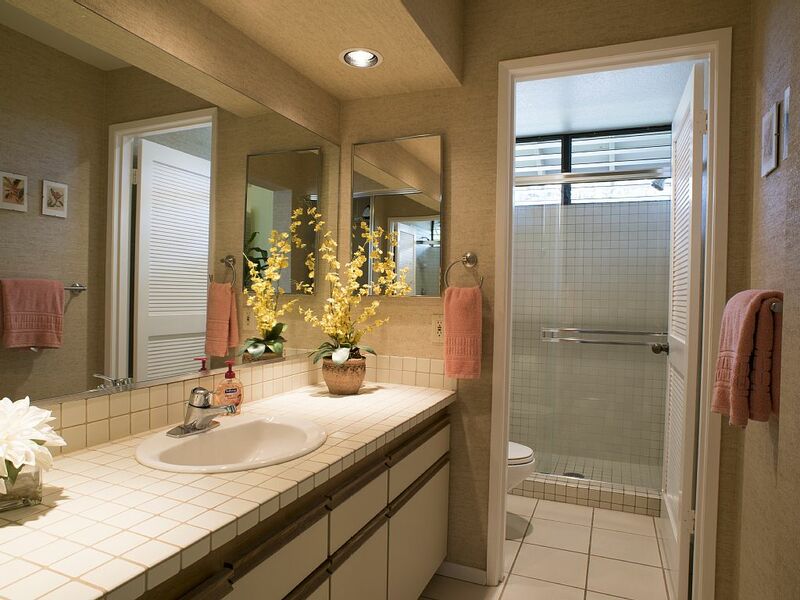 Shopping, dining, and other amenities are conveniently located within walking distance. The Shops of Wailea, which offers the finest shopping on the island and five excellent restaurants, is a 10 minute walk. The beautiful Wailea beaches are just a short drive away or a 15 minute walk. Don't miss the incredible Wailea 2 mile beach walk that connects the beaches and takes you past the island's most prestigious hotels. Less than 5 miles away are Big Beach and Little Beach, arguably the most beautiful beaches in Hawaii. Complimentary parking is included with all stays. A refundable damage deposit of $400 is required. Credit card information may be provided in lieu of an actual deposit payment. 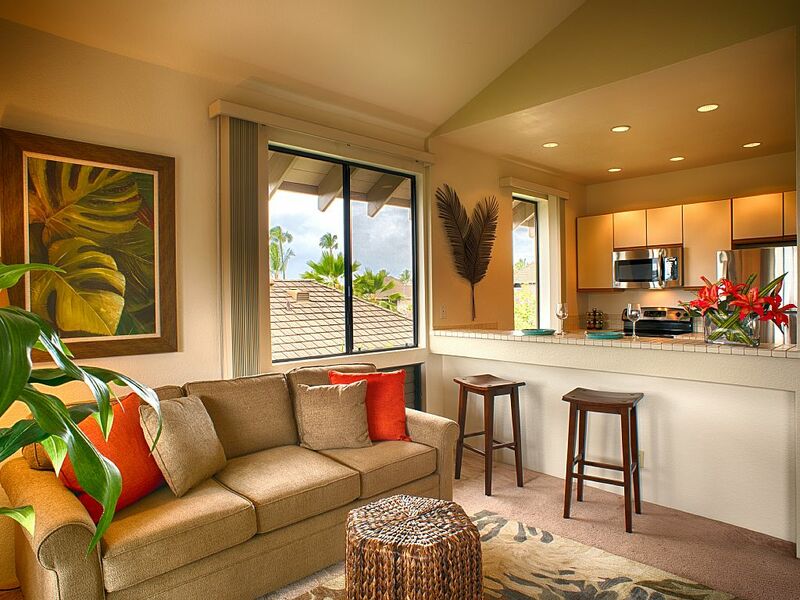 $125 cleaning fee and Hawaii taxes of 14.42% are added to all stays. We accept payment by credit card, check, bank tranfer, money order, PayPal, and TransferWise. A signed rental agreement and one-third deposit (or $400 if greater) is required to hold a reservation. Final payment is typically due 60 days before the stay begins. Our credit card processing fees (3% US, 4.4% other) are added to payments made by credit card or PayPal. 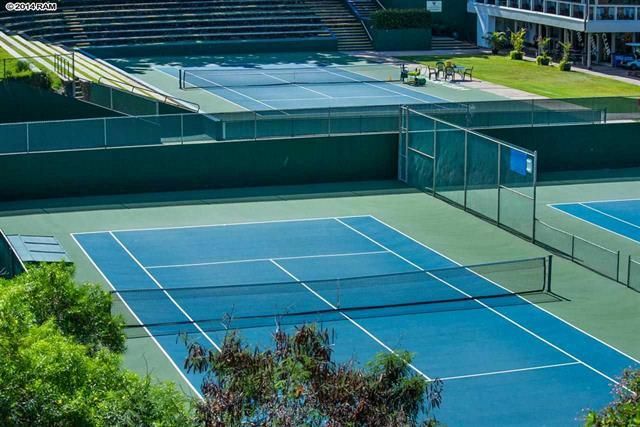 Our guests receive discounted golf and tennis rates. This condo was perfect in every way. It is far more spacious than we expected based on past experiences with vacation rentals, and it is lovingly, elegantly and thoughtfully furnished with everything you could want for days when you want to stay close to home, and days when you want to be at the beach all day long. 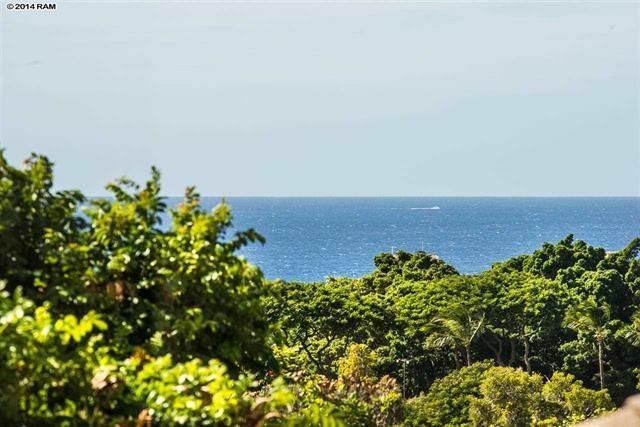 By the way, it is a five minute drive from Makena Beach where you can snorkel, and six minutes from Big Beach where you can have a big wave experience or just stare out to sea and listen to the waves pounding against the shore line. 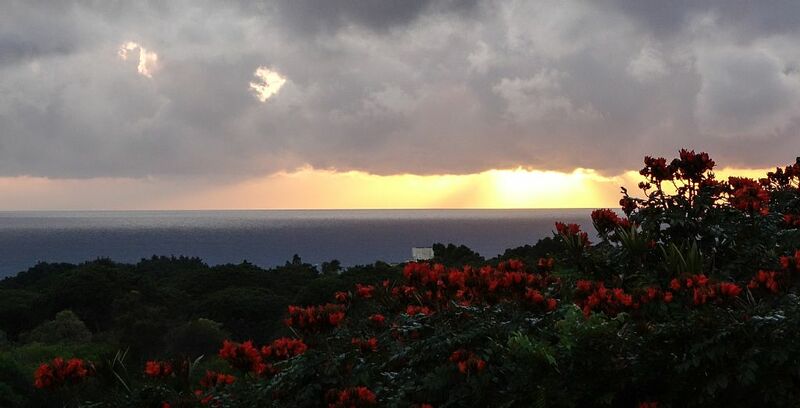 Since it is an upstairs unit, we were able to have the quiet we needed in our busy lives, and, as a surprise bonus, not only were we able to see the beautiful blue ocean and sky from the deck where we had our breakfasts and dinners, but the sun set right in our view every evening. I need a good mattress for sleeping and this one was ideal, but I also fell asleep on the longer of the couches and slept like a baby. Also, since I like to cook, it was great to have such a perfectly situated kitchen to work in. Finally, Tom and Greg were accessible both before we arrived and during, when I had a quick question to ask. Great guys. Thank you both. If you're looking for spaciousness and ease to complement your vacation, this is your spot. From the minute we opened the door we had the feeling this place was perfect. Beautifully decorated, a great couch, seaviews, a good bed, internet etc etc etc. The place is well stocked on everything you could need from kitchen utensils to snorkeling sets or a body board. Location is spot on, Wailea is gorgeous. We had a very hard time leaving this rental and seriously hope to come back to it. I stayed here for a week and could not of been happier. It was very nice to wake up every morning to a beautiful ocean view. 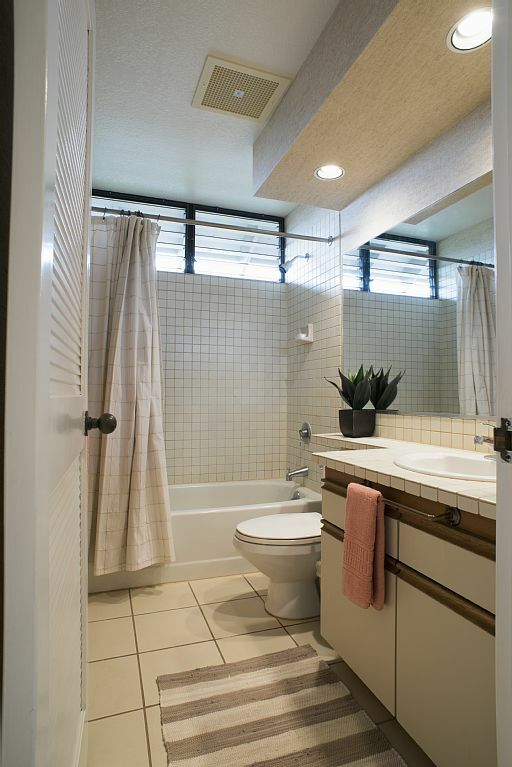 This property is located next to a great shopping center that is about a 10 minute walk. The shopping center has very nice retail stores and some nice casual restaurants. The condo itself is very nice and located in a quiet neighborhood. It has a washer and dryer which was very convenient and allowed us to pack less. It also had two beach chairs which were great for our days on the beach. The condo has two community pools. One is for families and one is for adults. The pools have two BBQ's which are in great condition. The jacuzzi at the adult pool was very relaxing after spending the day at the beach. Overall we were very happy with our stay and would absolutely recommend this condo to anyone else. Very satisfied with this condo. It was clean, functional, and comfortable. For us, it was perfect! The ocean view is nearly panoramic from the kitchen, living room and balcony, so much so that we enjoyed most of the sunsets from the balcony! 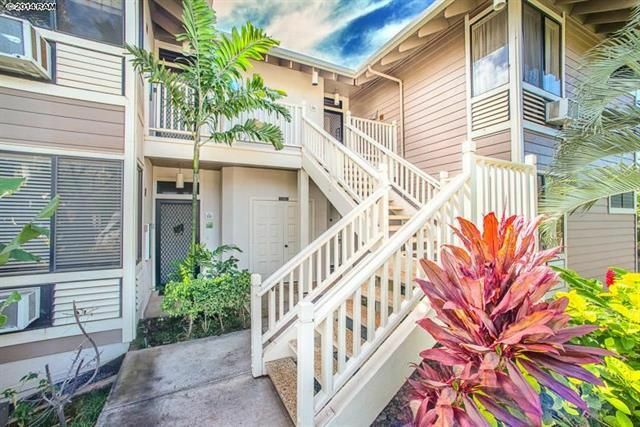 As a multiple visitor to Maui and Grand Champions, I can honestly say that this condo had one of the best sunset / ocean views of any place I've stayed at outside of a beachfront, ocean facing condo/hotel. Tom was SUPER easy to contact and incredibly diligent in his communications with me. He even sent me a text message in the late afternoon on our arrival day to see if we were at the condo yet and to make sure that everything was ok. That was truly a great touch, which set a very positive tone for the entire trip. I'd consider his communication with us as the best I've ever experienced on VRBO, even with having had other great owner experiences over the years. Thanks so much Tom for your hospitality and we look forward to visiting your place again! My husband and I stayed for our honeymoon and we had the most amazing trip. This condo was absolutely beautiful. The views were always stunning. The condo is very clean, and accommodating. It’s fully stocked with appliances and beach supplies. It was so nice to be able to do laundry. It’s in a great location. We walked to many restaurants and used Uber to go around town when we wanted cocktails. I would highly recommend this condo and the owners. They are very professional, helpful, and easy to communicate with. 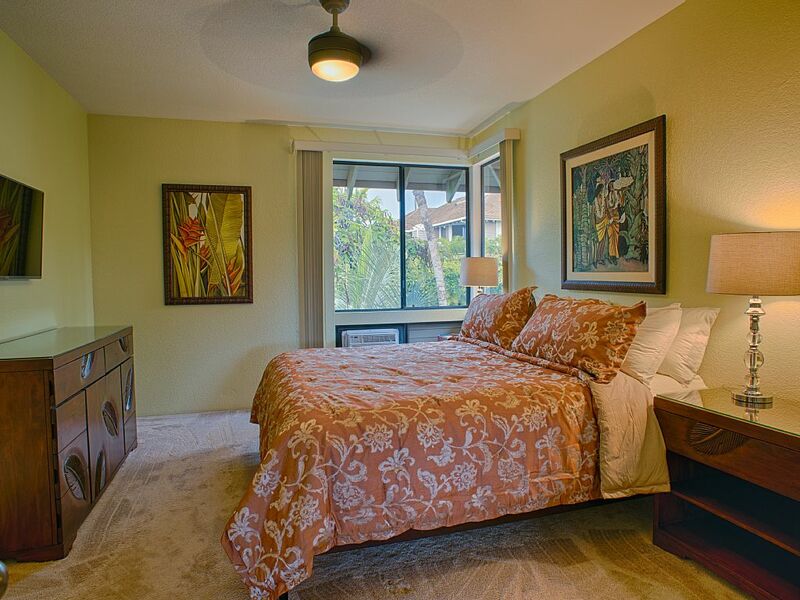 The condo was very clean and comfortable, plus we had plenty of room with 2 bathrooms and a wonderful lanai overlooking the tennis courts. 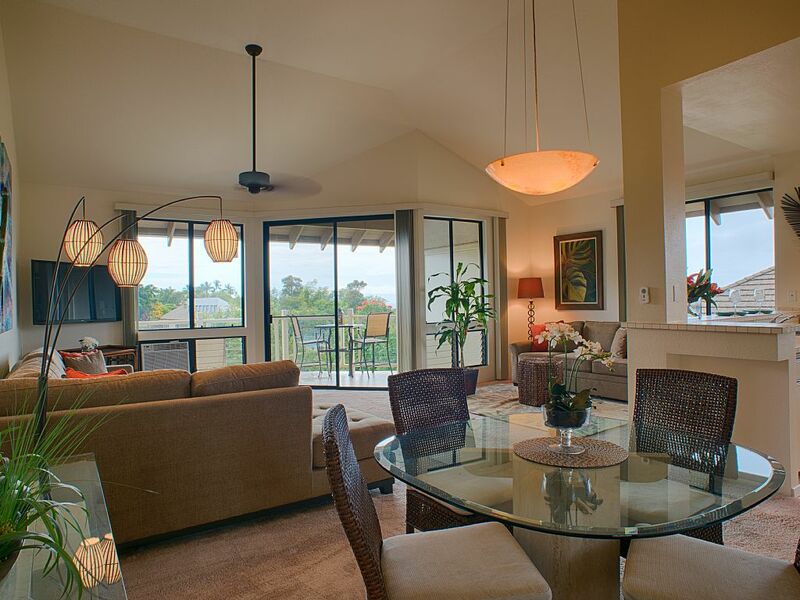 The location is fantastic because you are in walking distance to everything in Wailea like the beaches, restaurants, and golf courses. 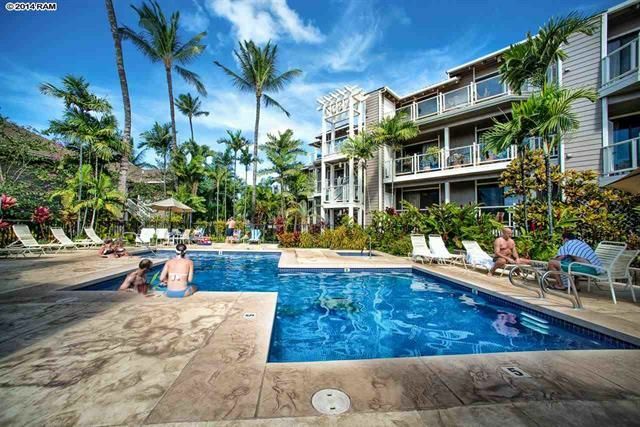 We also found it ideally located to travel to all the hot spots on the island like Hana, Mt. Haleakala, Lahaina and the Maui Winery. The owner does a great job maintaining the property, plus is very responsive to all questions. 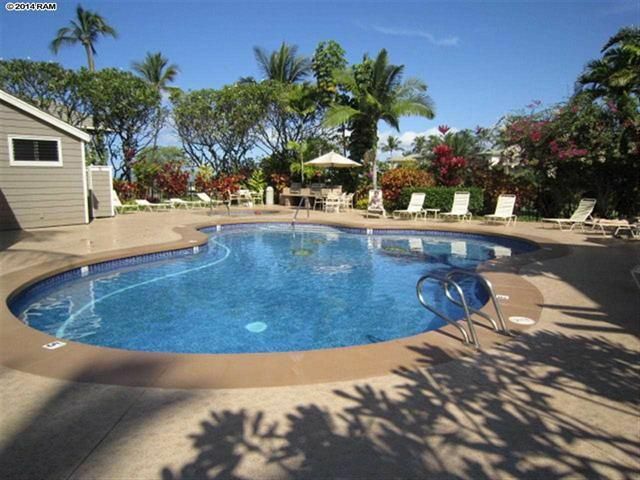 Grand Champions is in the beautiful area of Wailea with fantastic grounds, and pools. The condo itself is on the second floor and has one of the best views in the area. Sunsets on the balcony are a must. Another great feature of this condo is the king size bed. I have a bad back and it's one of the most comfortable vacation beds I have ever slept in. The rest of the condo (kitchen, front room, dinning area and bathrooms) do their jobs appropriately. I would definitely stay here again.